Lots of concerns have been raised about BioWare’s next game, Anthem. 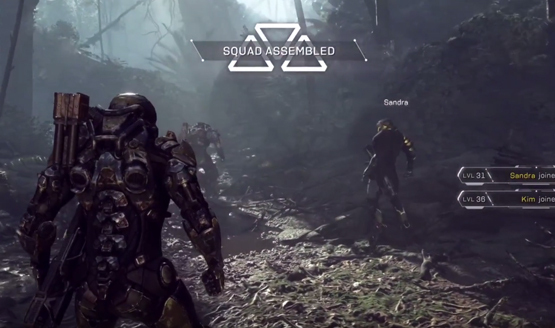 It may not offer the single-player experience the studio is known for delivering. The live-service qualities may get in the way of a true BioWare experience. The list goes on, but the development team seems certain of one thing—Anthem won’t be like others of its kind. For starters, it’ll launch as a complete package. Darrah doesn’t specifically call out any games. but it’s difficult not to think of Destiny and The Division. Both launched with minimal content, lost player interest for a time, then saw their playerbase grow after several updates. To some players, this may feel like a gamble of sorts. Spending full price for a game that doesn’t deliver full price content isn’t appealing. However, if anyone can flip the script on this front, it’s arguably BioWare. With BioWare promising that single-player and multiplayer content will get their due, Anthem could change the tune for live-service games in more ways than one. One way the studio is accomplishing this ahead of launch is by revealing that story DLC will be free for everyone. Ahead of Anthem’s February 22, 2019 release, BioWare is planning to launch a public demo on February 1, 2019.